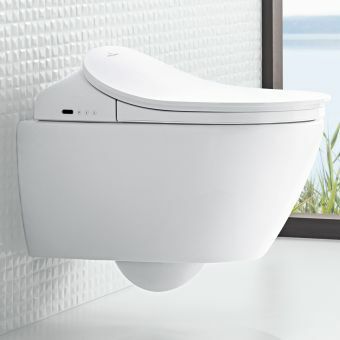 VitrA Fresh is a fantastic new technology developed by ceramic specialist manufacturers VitrA. 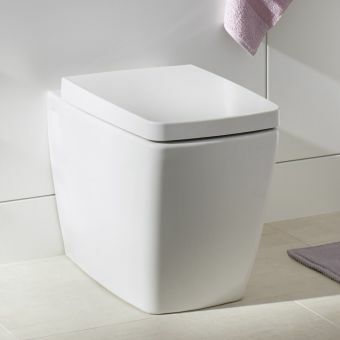 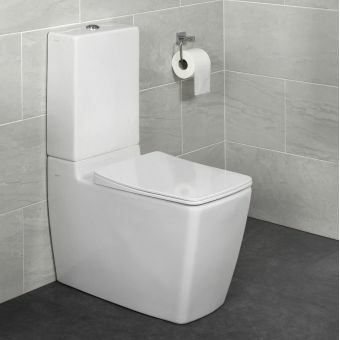 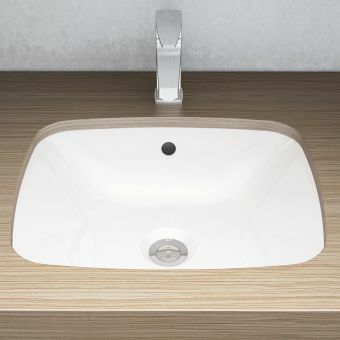 A neat and unobtrusive ceramic capped tank at the back of the seat holds toilet cleaning liquid which is efficiently dispensed with each flush, protecting against the build-up of bacteria. 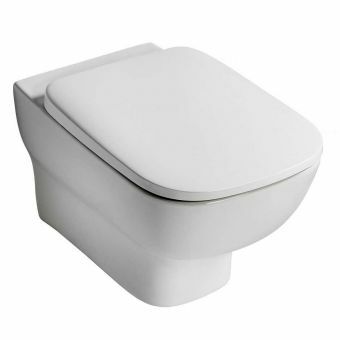 This distributes itself around the pan and keeps your WC cleaner for longer, and smelling fresh with every use. 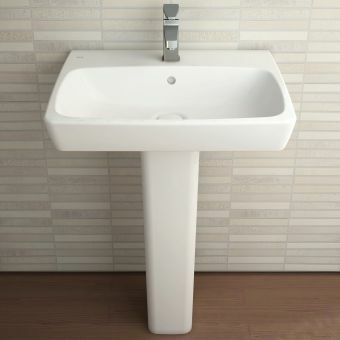 The tank is minimal and modern looking and simple and easy to top-up. 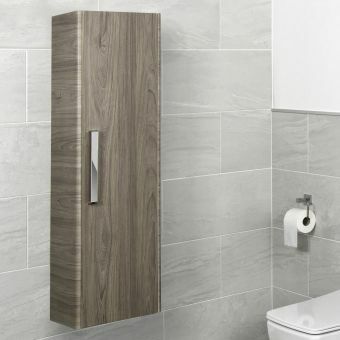 This award-winning design is at the cutting edge of bathroom technology and is well worth investing in to keep your new bathroom clean and fresh. 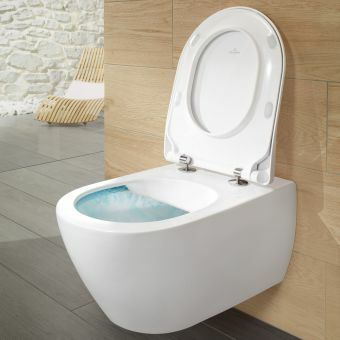 Pair this VitrA Fresh technology with the latest in pan design: Rimless. 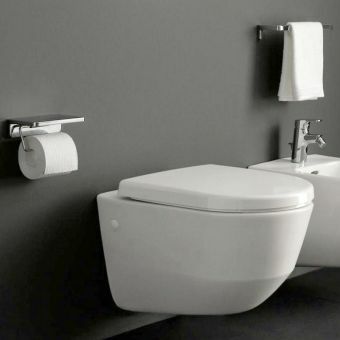 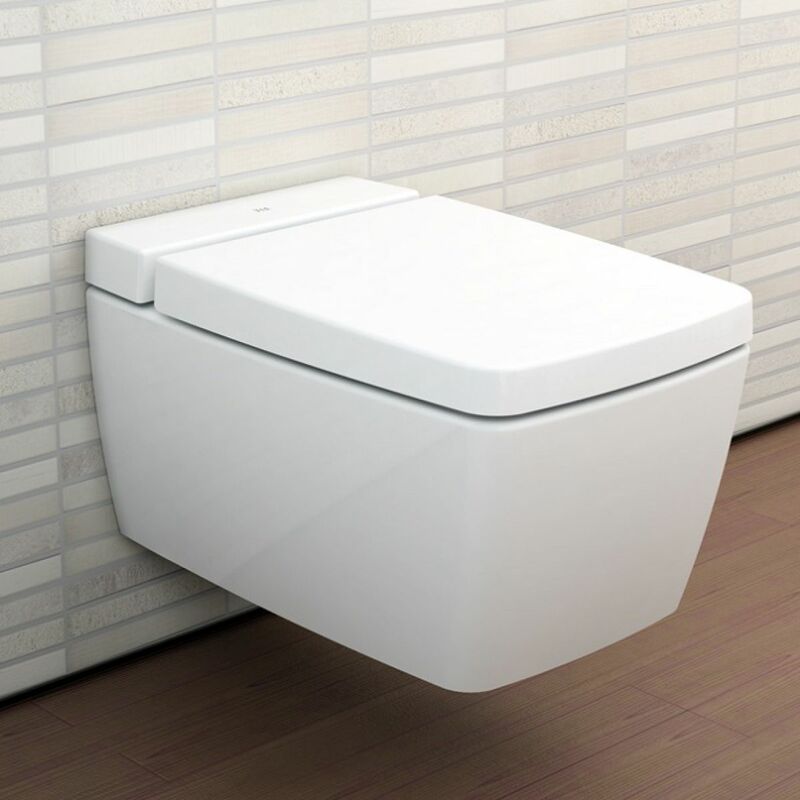 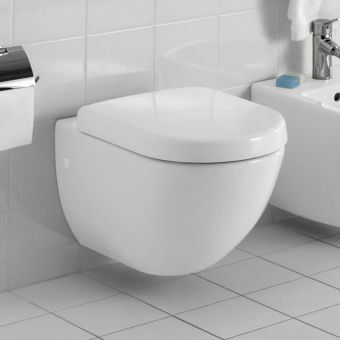 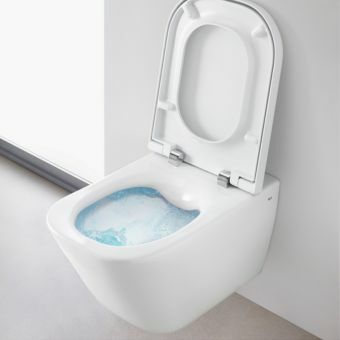 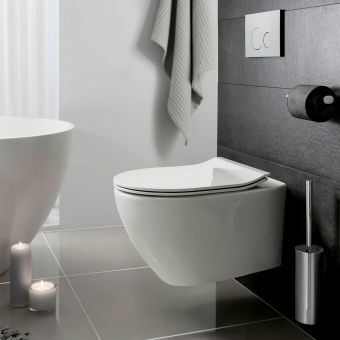 The rimless design of the toilet bowl leaves nowhere for dirt and germs to hide as there is no rim around the bowl. This also makes cleaning much quicker, and the flush of water is much more efficient than an old-fashioned flushing toilet that misses areas of the pan and is not always as strong and effective. 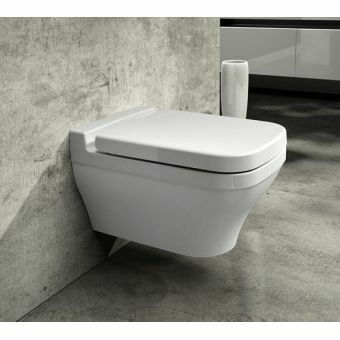 The M-Line range was developed for VitrA by German design house: NOA. 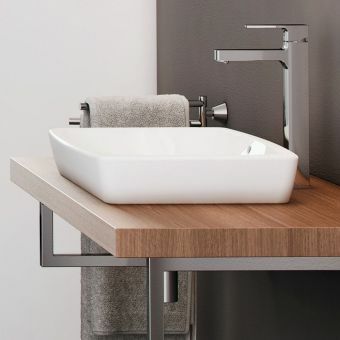 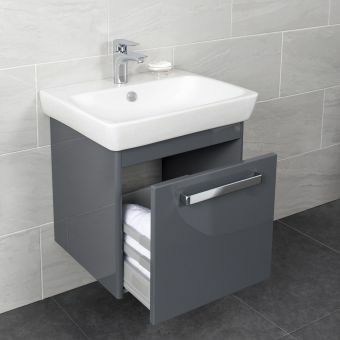 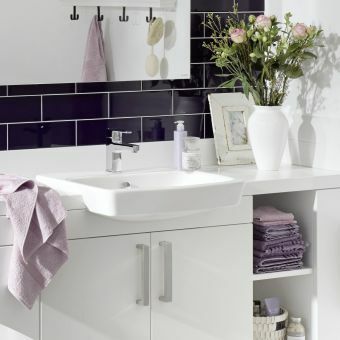 Modern with soft edges it is the perfect choice for any modern bathroom being both stylish and simple but also exceptionally well made – ensuring it lasts for years.